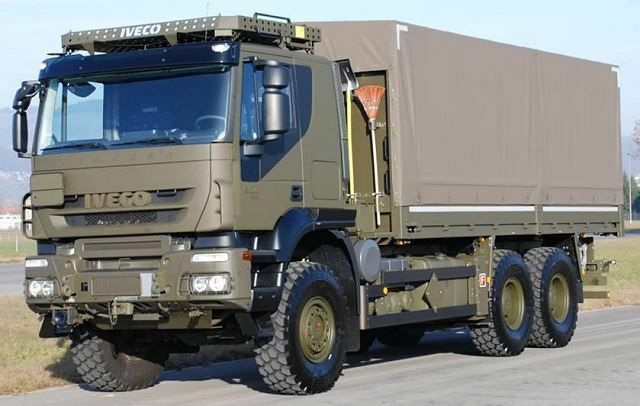 The Ministry of National Defence will buy 173 military trucks from IVECO Defence Vehicles for about RON 128 million, according to an awarding announcement published on Tuesday in SEAP. The result of the auction, launched in August last year, has just been officially announced, with the signing of the contract to be made after the possible appeals have been resolved. The delivery of the 6X6 Iveco DV High Mobility trucks will take place within 11 months from the signing of the contract, hotnews.ro informs. According to the tender notice 186173/30.01.2018, the MoD has awarded the contract for the acquisition of 173 Medium capacity ACMD transportation trucks from IVECO DEFENSE VEHICLES S.p.A for the amount of RON 127,898,519 VAT excluded. The auction was launched in August 2017 and the initial estimated value was of about RON 131 million. The awarding criteria were the offer price (60%) and the technical offer (40%). After the awarding announcement is published comes the period for appeals, followed by the signing of the contract. The trucks must be delivered within 11 months from the signing of the contract. „173 trucks have been bought from IVECO, as the result of the tender. The contract was awarded in the most legal way. It was a project which included ROMAN SA. I understand there is talk about the capability of ROMAN to produce these trucks. This 173 trucks are just a small part, we will need 13,000 platforms, of trucks to be produced by the Romanian industry,” Defence Minister Mihai Fifor told the hearings in Parliament that took place on Monday. Black Sea Defense & Aerospace © 2018 | All Rights Reserved.